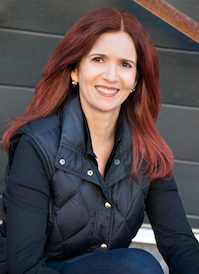 I’m delighted to welcome back a special guest today, my chapter mate from the Fantasy, Futuristic, and Paranormal Chapter of Romance Writers of America, Juli D. Revezzo. She last visited my blog in May of this year, to tell us about herself and Dark Things II: Cat Crimes, an anthology of dark tales whose proceeds are donated to cat charities. Juli returns today to chat about the Celtic gods and her latest fantasy release, The Artist’s Inheritance. I’ve got a bending shelf full of books on mythology from the Iliad to the Odyssey; the Arthurian legend retellings, a retelling or two of the Welsh mythological tome The Mabinogion, and a handful of Irish myths. These last were particularly inspiring. Why? Instead of espousing the journey and the massive battle, in these, every once in a while, the underworld comes home to roost. And those tales were just as interesting. Rhiannon comes to Pwyll, and Rhonbwy watches ravens defeat the Saxons during a chess game with Arthur, and Gwydion brings the challenge to several men and women; so too does the Green Knight. In The Artist’s Inheritance I had these mischief-makers turn against our most basic institution: A family. An artist gets a little too into his work and his tools, and who knows who can save him if not his wife? Settling into their new home in Gulf Breeze, Florida, Caitlin finds strange changes coming over her husband Trevor. He seems obsessed with a beautiful chair he’s carving. When the nightmares deepen and ghosts begin lurking—she knows something’s not right, and not just her newfound precognitive abilities. It’s the damned chair, she’s sure. Could it be just what it seems: a mundane piece of furniture? If so, why is it attracting dark forces—the forces she suspects drove Trevor’s siblings to insanity and suicide? Before the same happens to Trevor, Caitlin must convince him to sell his art. But armed with only a handful of allies, and little experience of the supernatural, she must proceed with caution against the hellish forces besieging her family. If she succeeds, she will break the ancestral curse. If she fails, she may lose forever the one thing she cares about most: her beloved Trevor. The Artist’s Inheritance is available now at Amazon and in various formats at Smashwords. Juli D. Revezzo has long been in love with writing, a love built by devouring everything from the Arthurian legends, to the works of Michael Moorcock, and the classics and has a soft spot for classic the “Goths” of the 19th century, in love of which she received a Bachelor’s degree in literature from the University of South Florida. Her short fiction has been published in Dark Things II: Cat Crimes, The Scribing Ibis, Eternal Haunted Summer, Twisted Dreams Magazine and Luna Station Quarterly. She also has an article and book review or two out there. But her heart lies in the storytelling. She is a member of the Romance Writers of America, the Tampa Area Romance Authors, and the special interest RWA chapter Fantasy, Futuristic and Paranormal. The Artist’s Inheritance is her first novel. The Artist’s Inheritance cover art by Boulevard Photografica. Used with permission of author.